A new discovery about a giant comet has telling scientists some fascinating things about global warming. 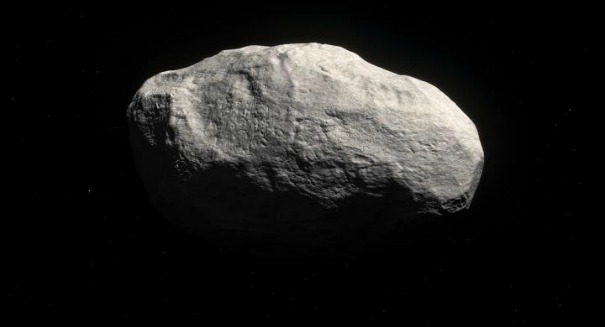 Scientists were looking for ancient fossils when they accidentally made a totally different discovery: a massive comet that smashed into the Earth 56 million years ago. Researchers at the Rensselaer Polytechnic Institute also found that the comet, which would have collided with the Earth 10 million years after the dinosaurs went extinct, is the likely cause of a global warming event called the Paleocene-Eocene Thermal Maximum – and it’s telling scientists a lot about global warming here on Earth today. Scientists were searching for fossils and quite unexpectedly stumbled upon what are known as microtektites, which look like dark glassy spheres, as well as “shocked quartz” that are indicative of a extraterrestrial object colliding with the Earth with incredible force and speed, according to a statement form the institute. They found three microtektites per gram of sediment examined, which is quite a lot. Scientists think this resulted in a huge spike in global temperatures, which probably rose by 5 to 8 degrees Celsius for the next 150,000, also likely triggering a tremendous rise in sea level and the extinction of many species. “This tells us that there was an extraterrestrial impact at the time this sediment was deposited – a space rock hit the planet,” said Morgan Schaller, an assistant professor of earth and environmental sciences at Rensselaer, and corresponding author of the paper. “The coincidence of an impact with a major climate change is nothing short of remarkable.